When you and I walk into our local liquor store, we continue to find more and more craft beers from the rapidly growing craft beer industry. And while distribution of craft beer has expanded dramatically, most craft breweries distribute their beer on a regional basis, delivering beer to states closest to their home state. 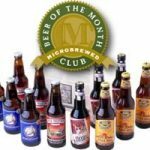 One of the ways you can enjoy craft beer from breweries that don’t distribute to Maryland is by joining a “beer-of-the-month club”. There are a number of companies doing this, with most offering 12 bottles per month: three bottles each of four different beers. This Christmas, my wife gave me a two-month subscription to one of these beer-of-the-month clubs and my second delivery arrived last week. It’s been fun to drink beer from breweries I’ve never heard of and from towns I’ve never visited. Here are the eight beers that I received in January and February. From O’so Brewing Company in Plover, Wisconsin: Rusty Red… and Night Rain. Rusty Red is a rich, malty Red Ale using Vienna grain. Night Rain is a complex Oatmeal Porter crafted with large amounts of crystal and Munich malts to create a rich, smooth, and creamy experience. From Ipswich Ale Brewery in Ipswich, Massachusetts: Route 101 and Oatmeal Stout. Route 101 is named after Route 101 that spans the Pacific coastline and is a hop forward, west coast style IPA. Ipswich Oatmeal Stout is deep, rich and malty with two different hop additions, specially selected crystal malts, roasted barley and oatmeal. From Foothills Brewing in Winston-Salem, North Carolina: Malt Shaker and People’s Porter. Malt Shaker is an Amber Ale using premium malts and select hops to create a beer with plenty of caramel notes and a little nuttiness. People’s Porter is ruby in color with strong upfront notes of chocolate and toffee and finishing with a hint of espresso. And from Lazy Magnolia Brewery in Kiln, Mississippi: Southern Gold and Southern Pecan Nut Brown Ale. Southern Gold is a sessionable golden ale brewed with honey from South Mississippi. Southern Pecan Nut Brown Ale is made with whole roasted pecans and has a dark mahogany hue. The beer is lightly hopped to allow the malty, caramel, and nutty flavors emerge. 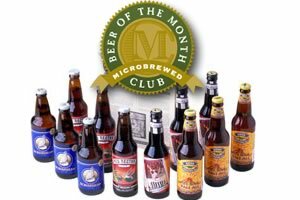 So, go on different kind of craft beer adventure: join a beer-of-the-month club for a couple months and try some completely new beer!